← Have you given up on your resolutions yet? Some odds and ends to end January. An interesting article on Australia’s worse rail accident. New to me, but no doubt familiar to some of my readers. I was struck by the big improvements made in maintenance of the railways and on disaster response. The phrase ‘budget constraints’ should be a reminder to the UK in these hard times? Australia’s worst rail disaster took only seconds to happen but was a decade or more in the making. 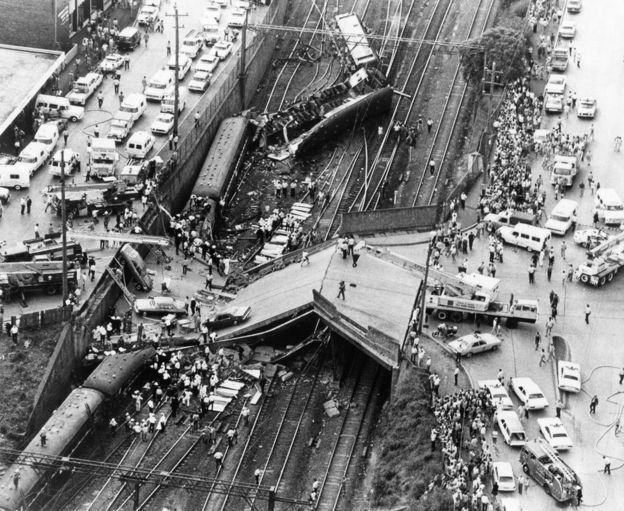 The Granville train crash on January 18, 1977, claimed 83 lives and injured 213 others. Granville revealed gross inadequacies in New South Wales (NSW) railway maintenance and taught the emergency services a lesson about the welfare of workers like those who raced against time to free survivors on that hot January day. I’ve wasted spent some more time looking at old maps. A couple of interesting locations. 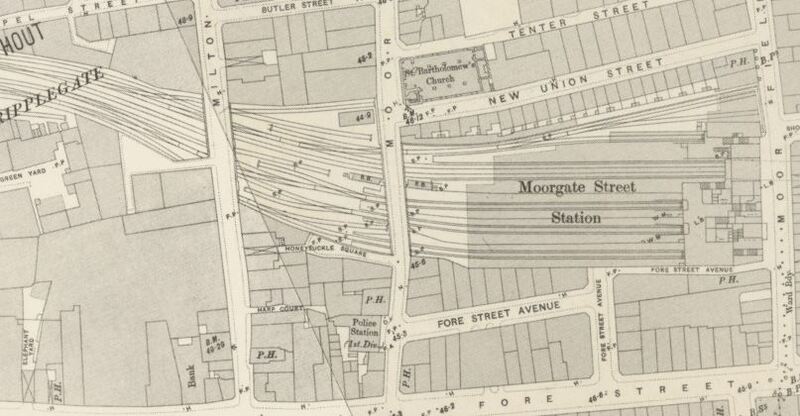 Firstly, Moorgate station in 1900 and 1950. This can be added to the Minories file. The number of engine sidings in 1900 would make a good model. And the lack of detail in the surrounding streets in 1950 reminds us of the mess Mr Hitler made of the City of London and surrounding areas. Secondly, Edgware Road in 1900 showing the engine sheds for the steam days of the District Line on the underground. Another interesting prototype! 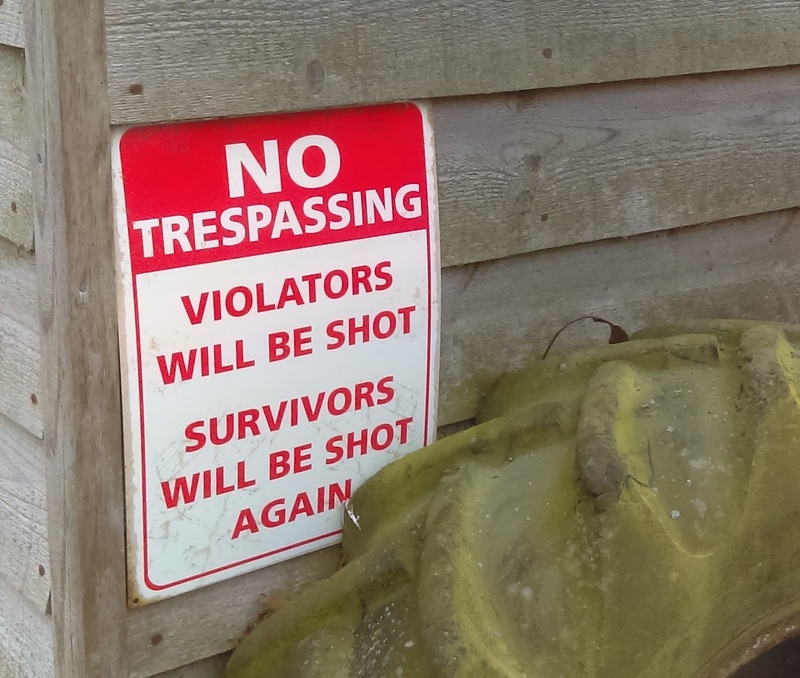 Finally, on a lighter note, you will recall this brilliant notice at the Chiltern show. Allan sent me this one outside a friend’s house. 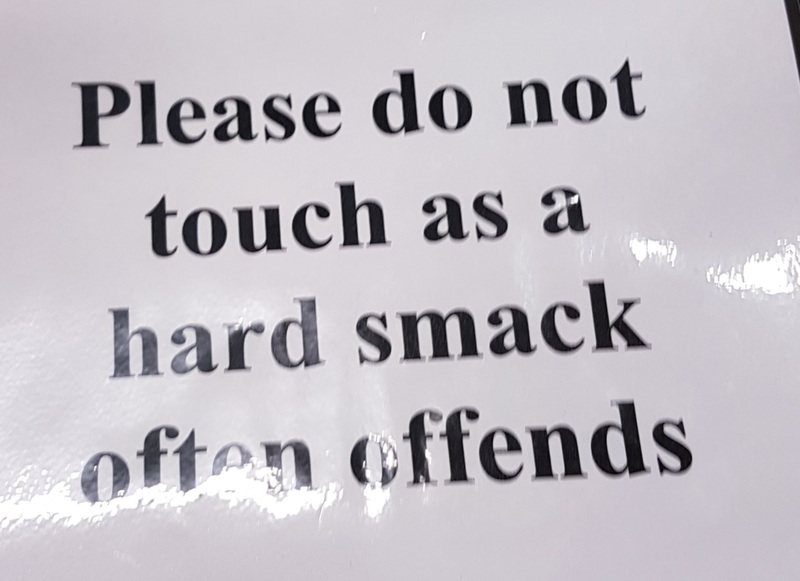 Makes a hard smack most acceptable! This entry was posted in Inspiration, Out and about, Prototype and tagged Australia, inspiration, prototype. Bookmark the permalink.